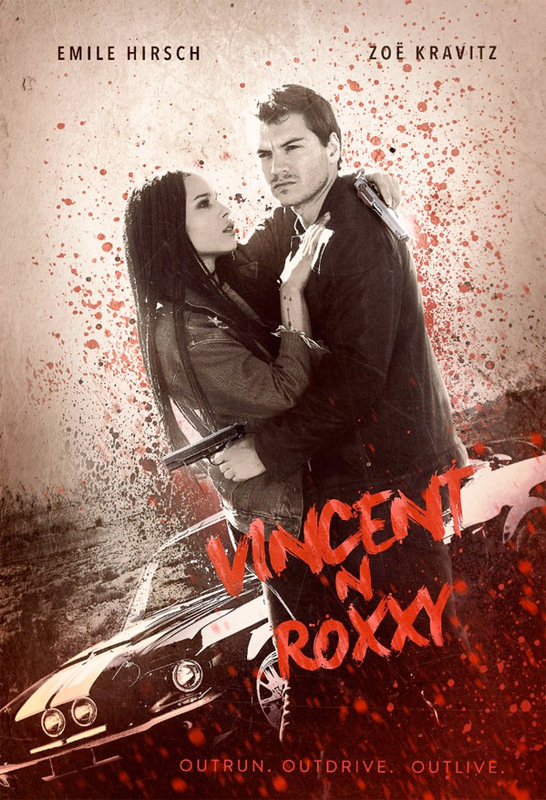 "I always felt trapped in this town…" Vertical Entertainment has debuted the trailer for an indie crime thriller romance titled Vincent N Roxxy, telling the love story between two lost souls. Zoe Kravitz stars as Roxxy, an "inner city girl in trouble", who's attacked on the street in broad daylight. Emile Hirsch plays Vincent, who tries to save her, but ends up falling in love with her and the two go on the run from their pasts and the dangerous people after them. The cast includes Zoey Deutch, Emory Cohen, Scott Mescudi, Beau Knapp, and Jason Mitchell. While this obviously seems like an updated, modern version of Bonnie and Clyde, or even Sid and Nancy, they're trying to make it unique with developed characters. This doesn't look that good, and I prefer American Honey anyway, but this might be worth checking out. Watch below. If hip-hop and rock-n-roll had a love child, she would be Roxxy (Zoë Kravitz), an inner city girl in trouble. Vincent (Emile Hirsch) is a consummate loner from small town America searching for meaning in his life that has become intertwined with dangerous people. One morning, these two lost souls meet when a vicious killer attacks Roxxy on the street in broad daylight before a crowd of witnesses. Vincent tries to save her, forcing Vincent and Roxxy to go on the run for their lives. They soon learn violence will follow them everywhere, even as they unexpectedly fall in love. Vincent N Roxxy is both written and directed by American filmmaker Gary Michael Schultz, of the film Devil in My Ride and a number of short films previously. The script is based on a story by Keith Kjarval. This first premiered at the Tribeca Film Festival last year. Vertical Ent. opens Vincent N Roxxy in select theaters starting June 2nd this summer. Anyone?